An effective email management solution is essential for organizations in today's litigious environment. 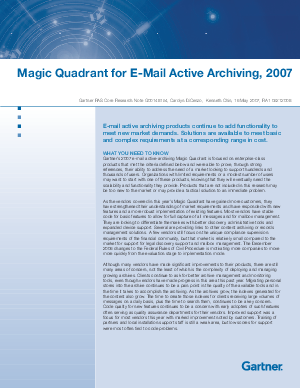 Learn more from Gartner research about the market and top vendors providing active archive solutions today. Download this research study to learn more.